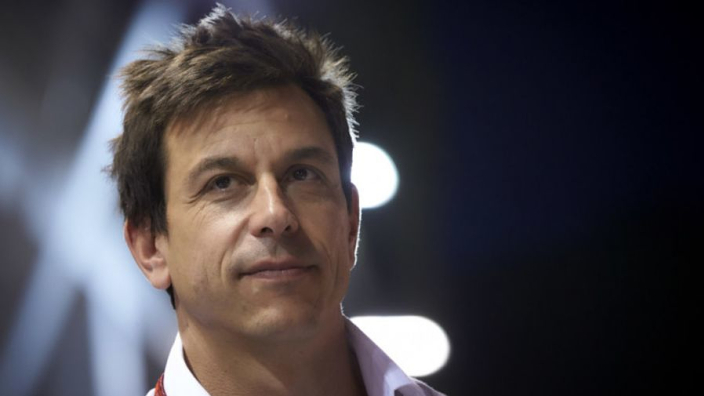 Mercedes boss Toto Wolff has confessed that he is surprised at just how fast Ferrari have been in the first two Grand Prix races in Australia and Bahrain as well as qualifying for the Chinese GP on Sunday, and says they have given his team "something to think about". The Prancing Horse continued their early-season dominance on Saturday morning when both Sebastian Vettel and Kimi Raikkonen broke the lap record, with the German coming out on top to early poll for Sunday's Grand Prix at the Shanghai International Circuit. Wolff admits he is surprised by the early-season form of Ferrari. "No [we didn't expect Ferrari to be so strong]," Wolff told Sky Sports. They've been really strong all day. Their qualifying performance they put one on top and we really have something to think about. "It's tricky. We are lacking grip. You can fall out of the window by the tyres getting too hot or being too cold. It's two extremes like we had in Bahrain. I think it's a tyre issue. "Tomorrow it's expected to be a lot warmer so I hope we have done the right thing set-up-wise and we have better pace in the race than Ferrari. "There is not a lot of strategic plays either. If we have pace then we can undercut or overcut." Wolff then looked ahead to the rest of the campaign, and insisted that Mercedes need to bring their "A-Game" if they are to retain the constructor's championship and win five titles in a row. "This is not the start to the 2018 season we had hoped for," the Mercedes boss continued. "For two races in a row, we did damage limitation with one car and lost the win with the other. Both races were decided by fine margins - but that doesn't make it any better. In fact, it probably makes it more frustrating.